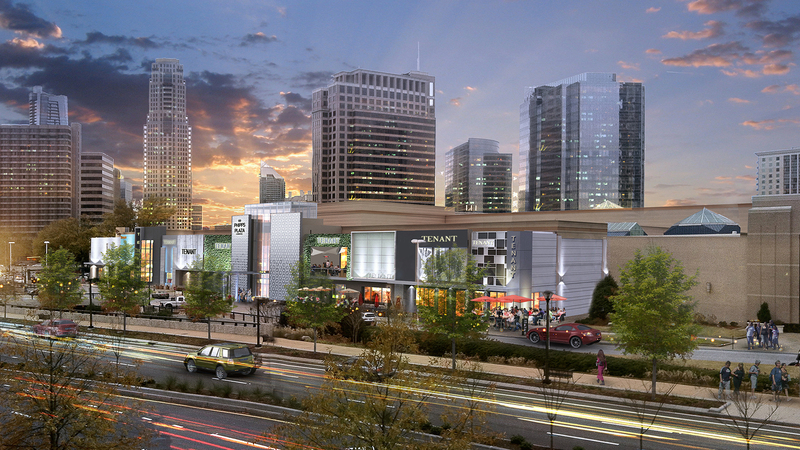 Located in Atlanta’s prestigious Buckhead district, Phipps Plaza is a premier upscale shopping destination. After an extensive interior renovation, Simon hired Beck’s design and construction teams to create a striking new entrance and distinctive luxury façade. The unique and complex entrance design features intricately designed perforated metal panels and glass curtain wall that will be backlit, creating a dynamic gateway to the property both day and night.